God, Guns & Glory design is on back of T-shirt. 100% cotton black T-shirt. 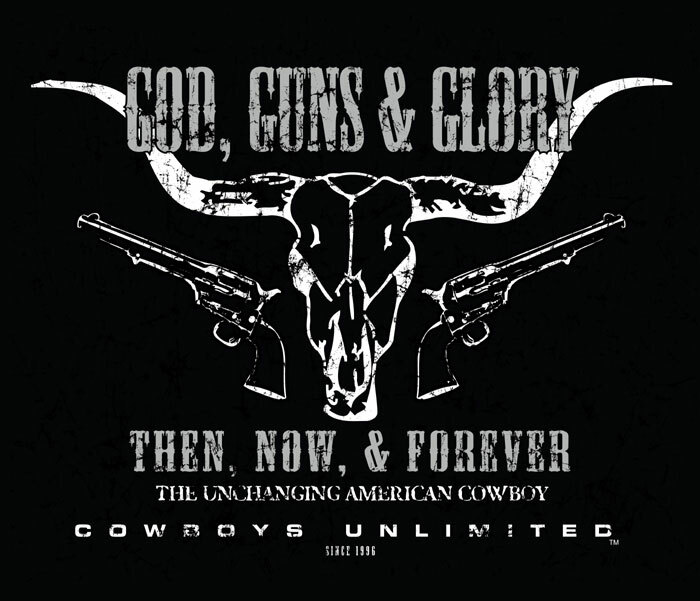 Cowboys Unlimited T-shirt: "God, Guns & Glory. Then, Now & Forever. The Unchanging American Cowboy."